2010 saw the inauguration of the massive integrated Terminal 3 or T3 at Indira Gandhi International Airport. 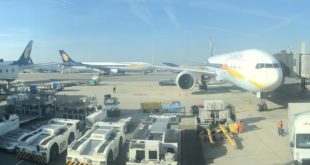 Integrated terminals are a key part of large hub airports, and by extension drive the fortunes of the world’s leading airlines which are based there. London Heathrow’s T5, Beijing’s T3, Dubai’s T3, Hong Kong International, and Singapore Changi T3 are existing examples of how mega terminals deliver economic benefits and generate employment. In the next few years, Mumbai and possibly Bangalore will get their own large integrated terminals. Integrated terminals raise the issue of modernising archaic government policies and procedures to ensure that they efficiently deliver the benefits of transit hubs. Domestic transfers in North America and Europe reflect the integration of airport security systems across a nation’s airports. Boarding pass of 8th April wrongly stamped as 18th April. But in India, airline and airport employees can enter the arrivals concourse without being frisked or having their bags x-rayed, which means that airport security must no longer consider the arrivals area as sterile. Convenience for the employee becomes a nightmare for the passenger. A transit passenger arriving in Delhi has to walk almost a kilometre to the security checkpoint, undergo another security check, and then walk back to the boarding gate of their connecting flight, which could be as far as their original arriving gate. And if the passenger is unlucky enough not to have had their boarding pass or baggage tags properly stamped at security check, they’ll have to go all the way back to security and do it again. One can imagine the impact on flight schedules, let alone the one and half kilometre walk to and fro. Convenience for the employees at the expense of passengers and the concept of the stamp should be done away with altogether. Sterile arrivals will eliminate the need for a transit security check, and if a departing passenger is properly checked and the system is strong, the departure concourse will be sterile, and the stamp is redundant. If the system isn’t leak-proof, no amount of stamping will ensure security. Instead of using the CISF as mere guards bunched at the security checkpoint, the Bureau of Civil Aviation Security should drive efficiency through increased use of modern surveillance systems, profiling, and roving CISF personnel within the terminal where malicious or drunk persons are likely to let their guard down. Fragmented families living in distant cities, stressed workers taking frequent but shorter breaks, a globally aware and affluent generation that is expanding its travel in India and abroad, and business executives using their airline miles and hotel points for family vacations will all spur air travel. Coupled with a lack of proportional growth in surface transport capacity, growth is being led by the leisure and VFR (visiting friends and relatives) traveller. The sky-high air fares seen recently testify to the increasing demand. Sasta, sundar, aur tikaoo (cheap, beautiful and durable) is the ethos of a value conscious nation. With different value perceptions and expectations, the Indian market won’t see a traditional low-cost carrier in the RyanAir mould any time soon. Instead, existing value carriers such as GoAir, JetLite, IndiGo and SpiceJet, along with low-fare services Kingfisher Red and Jet Konnect will continue to thrive, and enter the international segment. These value carriers, which run on the business model of JetBlue, Southwest Airlines, or Virgin America, focus on lean value chains and operational efficiencies to deliver a lower fare with some freebies like a 20kg baggage allowance. However, with the Indian economy resurgent, we’re already seeing a drift back to full service carriers, putting pressure on the value carriers that had gained 55% of the market in 2010. Expect significantly higher fares in 2011 as oil prices and airport charges continue to rise. Despite new or upgraded airports across the nation, aircraft continue to hover over metros, especially Mumbai and Delhi, while they wait for a landing slot. Precious aviation fuel is wasted and tons of emissions are needlessly added to Indian skies, not to mention hours of wasted time and productivity. The problem lies in people and processes, not infrastructure itself. Mumbai is unable to handle 700 flights a day with two crossing runways (effectively 1.5 runways), while London Gatwick is able to operate over 700 flights in just 16 hours with only one runway. The regulators and operators need to fill the critical vacancies in air traffic control urgently, and implement proposals to reduce flight separation timings from the current two minutes to one. This will optimise the massive investments made so far in airport infrastructure which is causing airport operators to hike fees to recover costs thus depressing air traffic. The air travel industry embraced social media to increase passenger engagement and build brand awareness and loyalty. SpiceJet, Kingfisher and Jet Airways are actively using Facebook, but are yet to catch up on the preferred social network in the air travel world – Twitter. The micro-blogging site is perfectly suited to the “here and now” world of air travel. Airlines, hotels, car agencies and others use the service to announce last minute deals; and aircraft manufacturers like Airbus, Boeing, and Bombardier use it to announce new developments and toot their horn whenever the media writes about them. The new trend in 2010 was the increasing use of Twitter by service providers not directly connected to the passengers. More passengers in India travel by rail in day than by all airlines in a year, which helps maintain the wrong image of air travel as a luxury and air travellers as rich people with bottomless wallets. The government, government controlled companies like oil marketers, and both private and public sector airports impose punitive taxes and levies in the belief that air travellers will pay whatever they’re charged. During the economic crisis, governments and airports across Asia-Pacific cut fees and taxes to keep air travel stimulated. India was the only country to increase them. As a result, while industry body IATA says that Asian airlines will lead the world in 2010, with five of the world’s top six airlines in m-cap from Singapore, Japan and China, Indian carriers, though, have losses of $1.75 billion, and are barely able keep their heads above water. To liberate the industry and realise the massive potential of the Indian market, government and airports will have to abandon their myopic policy of fleecing the “rich” to ostensibly subsidise the aam aadmi (common person), which in reality leaks away to other non-intended beneficiaries. The next few years will see a wave of new aircraft which dramatically improve the flight experience. In 2010 Boeing started delivering 737s fitted with new sky interiors, and finally conducted the first flight of the much delayed 787 Dreamliner. Hopefully the dream will become reality in 2011. Airbus announced the A320NEO (new engine option), and its gargantuan A380 became mainstream. 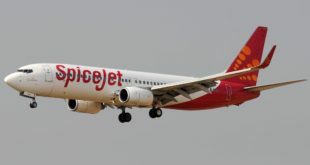 SpiceJet is expected to introduce sky interior fitted 737s in the next three years, and IndiGo is rumoured to be an early customer for the A320NEO. Globally, in-flight internet connectivity has taken off in the US, and internationally with Emirates and Lufthansa. How long before Indian carriers jump on this money earning service? Don’t hold your breath. Cost pressures created a wave of consolidation. Delta and Northwest merged, as did United and Continental. This year, British Airways will complete its merger with Iberia. Even the conservative Lufthansa acquired Swiss and Austrian airlines. In India, GVK acquired Bangalore airport, effectively creating a triopoly along with GMR and AAI. 2010 also saw airlines signing alliance membership deals which should fructify in 2011. Kingfisher is due to join the oneworld alliance and hopefully Air India will finally complete its merger with Indian Airlines and join the Star Alliance. Can we look forward to Jet Airways announcing their joining SkyTeam in 2011? I think it’s a perfect fit. Enough has already been said about the decline of Air India, along with reasons and remedies, so I’ll just provide a simple comparison. The accumulated losses of Air India will feed every hungry citizen of India for a year through the Akshaya Patra program. It’s time to ask whether we need a national carrier on tax-payer life support. Across the world, national carriers that could not hack it – Alitalia, JAL, and others – have gone in to bankruptcy away. European governments have long exited their national carriers. The US, thankfully, never had one. However, the Indian political, bureaucratic, and labour aristocracy sees Air India as a Kamadhenu. But the milk has been long exhausted, and they are now sucking out its lifeblood. Something I’d like to see change in 2011 is the role of the Civil Aviation Ministry. This leviathan is a regulator, inspector, accident investigator, airport operator, ATC operator, airline operator, and policy framer. Anybody who’s in the aviation industry has to approach it for the smallest of requests. Wasteful cross-subsidisation and conflicts are bound to occur, and perceptions of cover-up, sloth, and corruption, will arise. It is time to remove non-core activities from the ministry and the Government can start by making the DGCA, Air India, AAI ATC operations, and AAI airport operations completely autonomous. It must also set up a totally independent accidents investigation board, which had been called for after the Mangalore accident but has now been conveniently forgotten. A board under the ministry cannot be considered truly independent.